RV Wraps - Chicago Van Wraps - Mark Your Space, Inc.
Get your RV Wrap Quote Today...It's FREE! 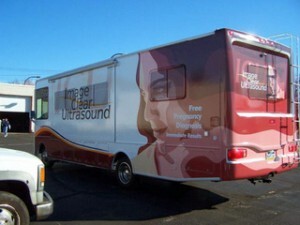 Contact Our RV Wrap Experts Today! A well designed RV wrap acts as moving billboard that actually gets more impressions and closer inspection than you would ever get from a distant billboard, and quality van wraps are a one-time-cost! There is no better way to make a local impact, it is the most cost effective marketing you will ever budget for your company.